WALKER COUNTY, TX (KTRK) -- A driver who went past barricades and tried to cross the flooded Trinity River this morning escaped with his life, but likely lost a valuable asset, according to authorities. This morning around 7:30am near FM 3478 near the Walker County line, a driver called 911 after water stalled his car and it began filling up with water. Riverside and Huntsville Fire Departments as well as New Waverly firefighters responded to the man's 911 calls. Authorities found him on the top of his car. He was not injured and was eventually pulled to safety, but his car is likely a total loss. 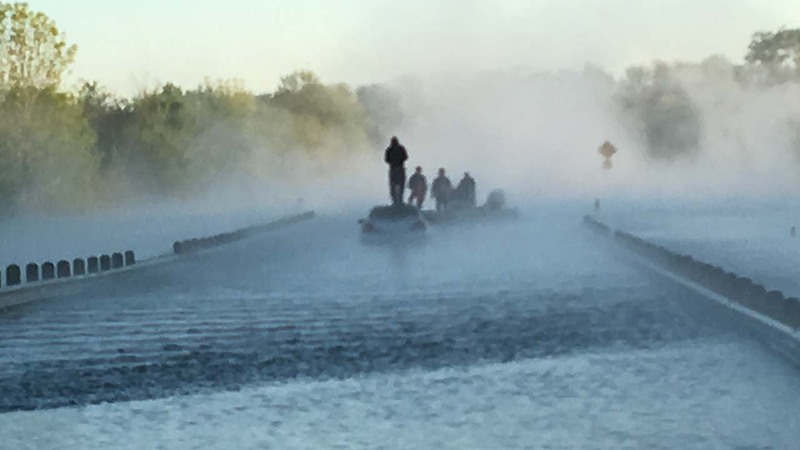 New Waverly firefighters used the moment to teach the public, issuing a statement saying, "Drivers often underestimate the power of floodwater. When there's water running across a road, drivers should always turned around and choose a different route. In addition to facing possible arrest and criminal charges, driving around a barricade can endanger both the vehicle's occupants and emergency responders."